It was all going so well at Manchester United. Or so it seemed at least. But this morning, fans of the Red Devils have woken up to the startling news that the club have handed Phil Jones a new four-year contract - extending his stay at Old Trafford until 2023. 90min's own ​Scott Saunders almost fell off his chair this morning when the news was broken to him, and it's no doubt a feeling shared among United fans around the country. As ever, when news of such importance breaks, there are two things that you must immediately do. The first thing is to get yourself comfortable and the second is whack out your phone - ready to pile through the devils playground known as Twitter. A new 4 year deal for what exactly? How are these mediocre players still at the club, truly embarrassing. While you’re there, offer Valencia & Mata +5. Mind-blowing. Ole’s first mistake this season. Some fans took a more pragmatic approach - though the suggestions still revolved around shipping Jones out at the earliest opportunity..
Don't know how to react. For me he s not in my long term plans. Can use this contract to get good value in summer. Sincerly hope this is just to get value when he is sold SOON! No offence but he will be fit for about 12 games in that 4 years. Vidic and Rio were still around and we had SAF. Jones has done enough to convince me he isn't reliable. Hope it's just a way to get some money instead of letting him go for free. The bad news for Phil? 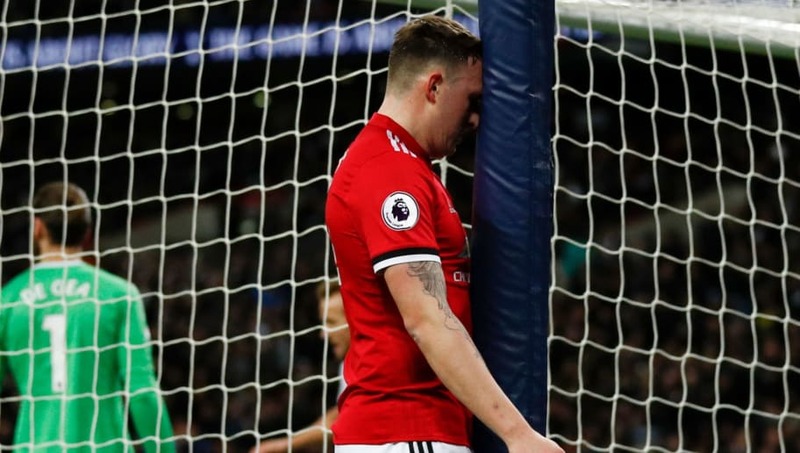 Even former manager Jose Mourinho can't believe what he's hearing..
Jones did have one supporter at least, who sees the benefit of keeping him around in Manchester..
Y’all should calm down, he is not a bad substitute. Yall want to sell off all your defenders?? And have koulibaly play all matches when hes around right?